WELCOME TO NCWCA'S SPEAKER'S BUREAU! The NCWCA Speakers’ Bureau showcases the expertise of its members. We address a range of topics from “Tech Tools for Nonprofits”, “Art and Historical Trauma”, “Gallery Management” to “Community Art”, and more. ​​If you are an organization interested in a NCWCA speaker for a speaking engagement, workshop or panel , please email us at ncwcachapter@gmail.com and provide your contact information (your name, organization, email and phone number). For members who would like to join the Speakers’ Bureau, email ncwcachapter@gmail.com with your request and a application form will be emailed to you. Elizabeth Addison is a San Francisco Bay Area visual artist, curator, and educator whose works are included in The California Endowment permanent collection and collected by numerous private and public collectors. 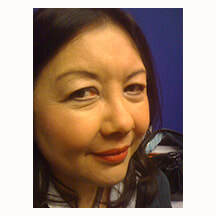 Her primary media include experimental printmaking, installation, audio and digital media. Addison’s recent works are in response to visual connections and functional similarities between the microscopic and the cosmic realms. Informed by the relationship between science and artistic vision, she invokes the threshold created at their intersection. Her liminal environments reflect upon humankind and its relationship with nature, science, and the comparison between belief and data-driven conclusions. Addison is an artist-in-residence at Kala Art Institute and is a board member and Professional Development Chair of the Northern California Women's Caucus for Art. She is a graduate of Northwestern University and received her MFA from JFK University in Berkeley. 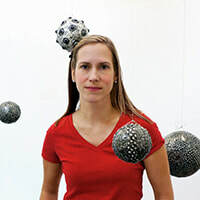 Tanya Augsburg is a humanities-trained, interdisciplinary feminist performance scholar, critic, and curator who can be occasionally persuaded to perform. She has been talking to, and writing about, feminist art and performance since the 1990s. Her 1996 doctoral dissertation, “Private Theaters Onstage: Hysteria and the Female Medical Subject” examined images of who dared to speak publicly, from Bernini’s Saint Teresa in Ecstasy to ORLAN’s medical performances. She teaches at San Francisco State University, where she is Professor of Humanities and Creative Arts. 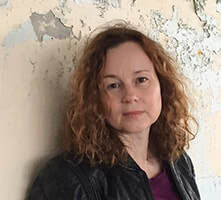 Her current projects include completing a book-length manuscript on the interdisciplinary arts and a book-length manuscript on what she is calling feminist ars erotica. Judy Johnson-Williams has been an artist for 40 years and taught art for over 20 years (8 years in a drop-in program at migrant house and 13 years in Oakland public schools). Johnson-Williams has developed customized programs to meet the needs of her students, whether they are adults or traumatized, special needs children. She believes that art is about thinking and communicating, and while she loves making her own, it is also necessary to share and teach those who don't have the skills. Judy Shintani's art focuses on remembrance, connection, and storytelling. As a daughter of a Japanese American incarceree, she has researched and created work about this history. Shintani's masters in Transformative Art groomed her to facilitate and speak about community art and the creative process. Shintani has exhibited internationally and has been an artist in residence at Vermont Studio Center, Santa Fe Art Institute, and Creativity Explored for Disabled Adults. Shintani founded the Kitsune Community Art Studio in Half Moon Bay and is a teaching artist at Foothill College in Menlo Park, CA. She is a member of the Asian American Women’s Artist Association and on the board of the Northern California Women’s Caucus for Art. Shintani's Master's Degree in Transformative Art is from JFK University in Berkeley and her Bachelor of Science in Graphic Design is from San Jose State University.